Note 1. Penderin [sic] Church is built upon a rock, which is the signification of the word in English (Penderin = the head of the rock). It is dedicated to Saint Cynog, is an ancient edifice, and consists of nave and chancel, with massive tower at the west end. The register book dates back to 1758, and has an entry of the interment of Constantine Evan, in 1765, aged 106. Note 2. The church has been mostly rebuilt except for the small west tower. 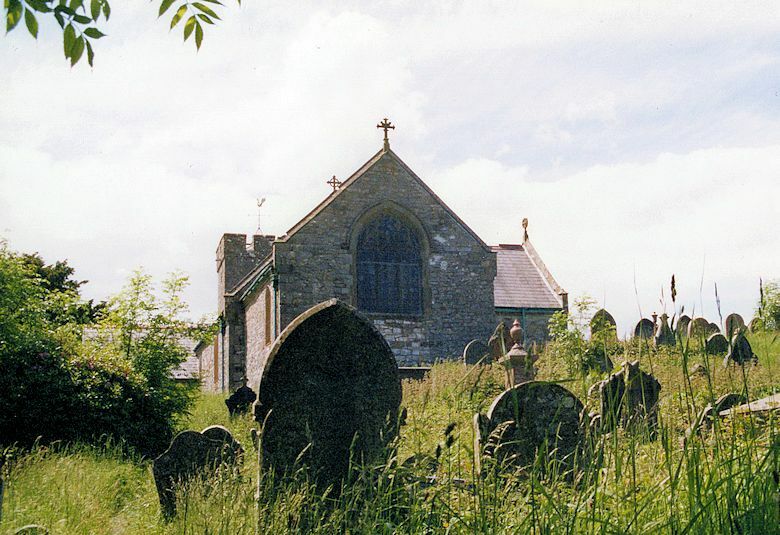 Above: St Cynog's Church viewed from the southeast. Note 3. [The church...] is on the very summit of a rock in the highest and most exposed situation that can be well painted or imagined. At the western end is a heavy clumsy tower, in which are two bells; it consists of a nave and chancel neither ceiled nor paved, the seats are irregular and the space between them so narrow, that there is not room for introducing a bier before the reading desy, as is customary in the funeral service, without removing them. Note 4. A low west tower containing two bells hung for chiming. Both bells were cast [in 1719] by Henry Williams. The state of the bells was presented first in 1707, while in the following year the 'Steeple' was out of repair. In 1714 one of the bells was stated to be cracked. This was still presented in October 1720, even though Henry Williams had cast two bells for the church dated 1719. 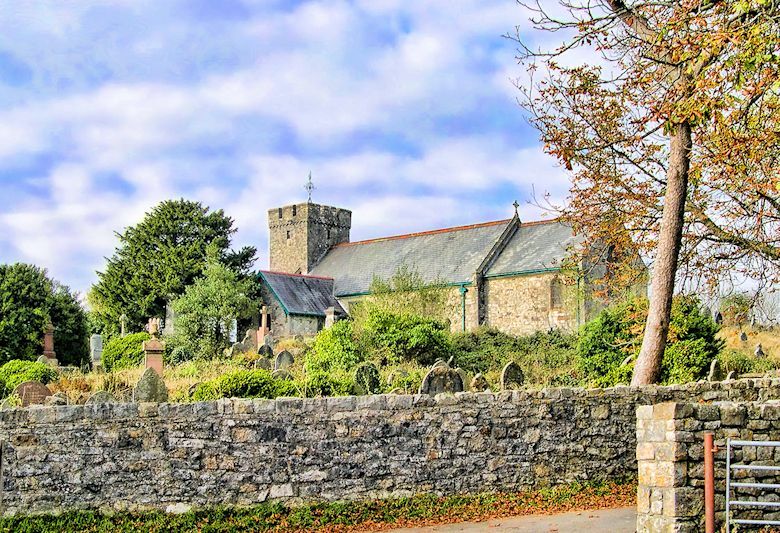 Below: St Cynog's Church viewed from the east.